first off im located in Orlando FL. second the drivers side spindle is broken. 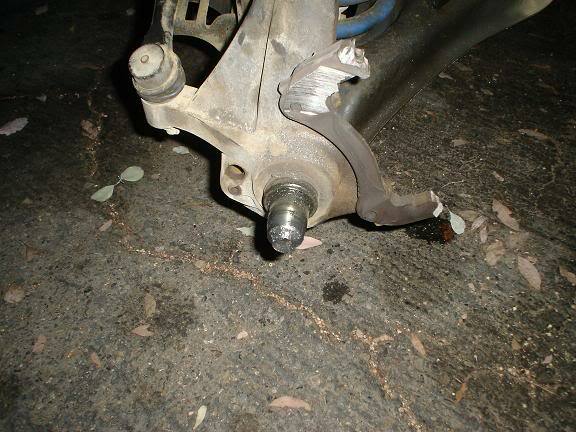 i have 2 2wd spindles that came off of my 99 coil sprung ranger for sale. the driver side spindle is broken. all you have to do is press the snouts out and put stronger than fab tech snouts which is just about anything. OEM snouts work great from others ive heard. anyway im asking $200 if you want them shipped then its on your dime. ill get pictures up as soon as i can. im in no rush to sell. and ill be having the snouts pressed out with news pressed in by January. 3" Fabtech Spindles with stock wheels - can or can't?